This book is loaded with bee info! Not only are there beautiful pictures of flowers and bees but anything you ever needed to know about bees must be in this book. If you want to have a bee-friendly garden this book lists the best plants to grow and also the ones that bees don't like. In the back of the book I found the most helpful list of flowers to plant that work in my area. 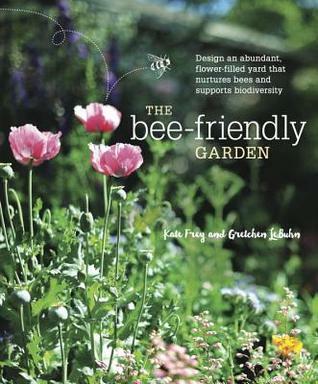 It was an interesting book and if you had a good spot to plant flowers and create a bee garden this is the book for you! !